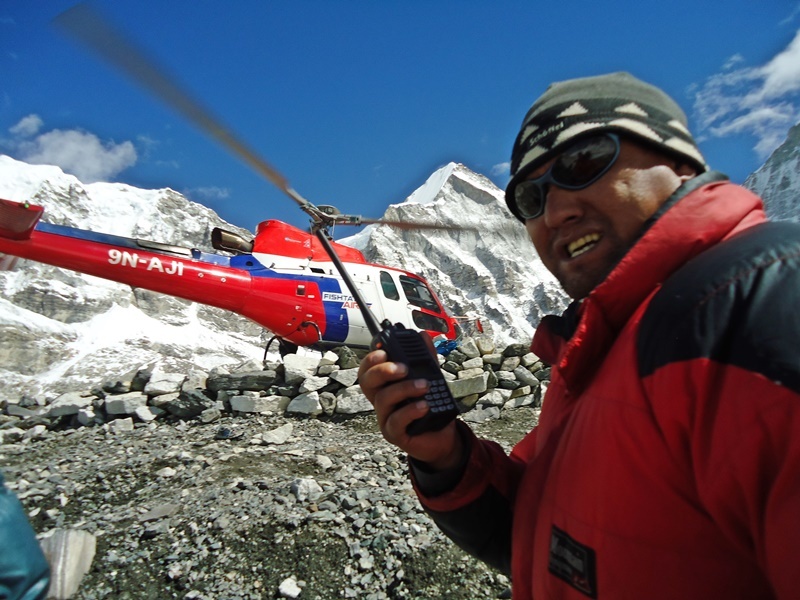 At 9 am yesterday a powerful ‘B3’ helicopter was dispatched from Kathmandu to evacuate a key member of our Sherpa crew – Angkami Sherpa. He was airlifted from 6300 meters on Mt Everest. ‘Kami’ was ascending to our Camp 2 at 6560 meters. Just above the Khumbu icefall he took an unfortunate fall and fractured his leg. The route to Camp 2 has a number of complicated ice steps. He lost traction on one of them and fell, fracturing his right leg below the knee. 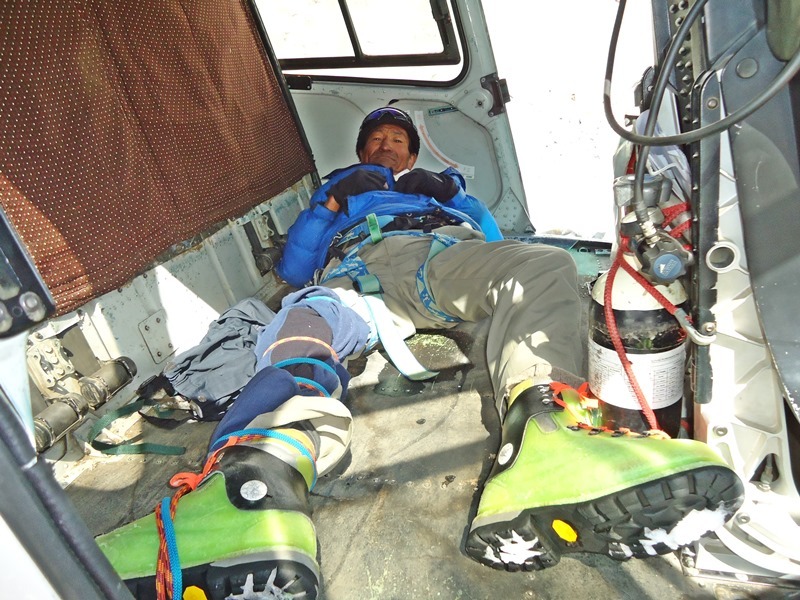 Our team’s remaining Sherpas – Ongchhu, Phurba and Phursemba assisted by ‘splinting’ the injury and keeping Kami warm. 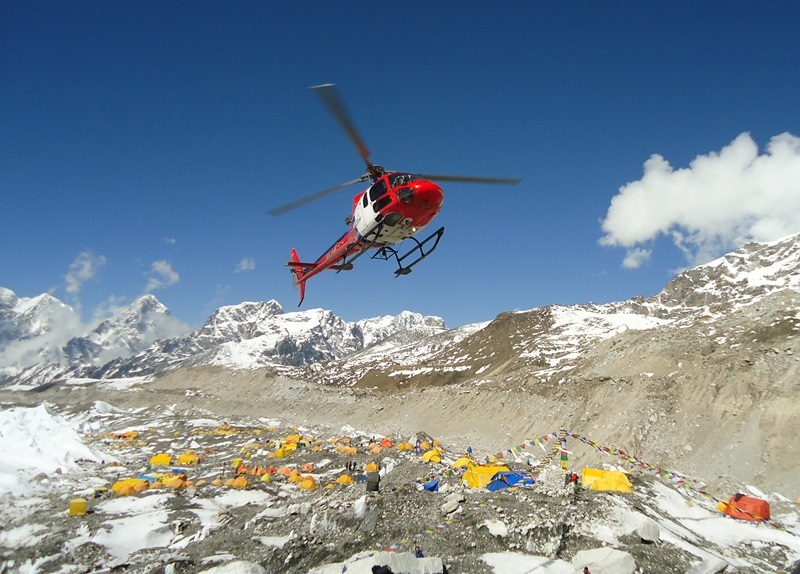 Rob Bentley – Base Camp manager and Pasang Sherpa – Nepalese Liaison Officer were in constant communication and coordinated a risky high altitude rescue from Base Camp. Fishtail Air’s – Captain Reto (Swiss nationality) courageously navigated the helicopter into the Western Cwm, landed at the sight of the incident and airlifted Kami to the Helping Hand hospital in Kathmandu where he underwent surgery yesterday. He is recovering well. 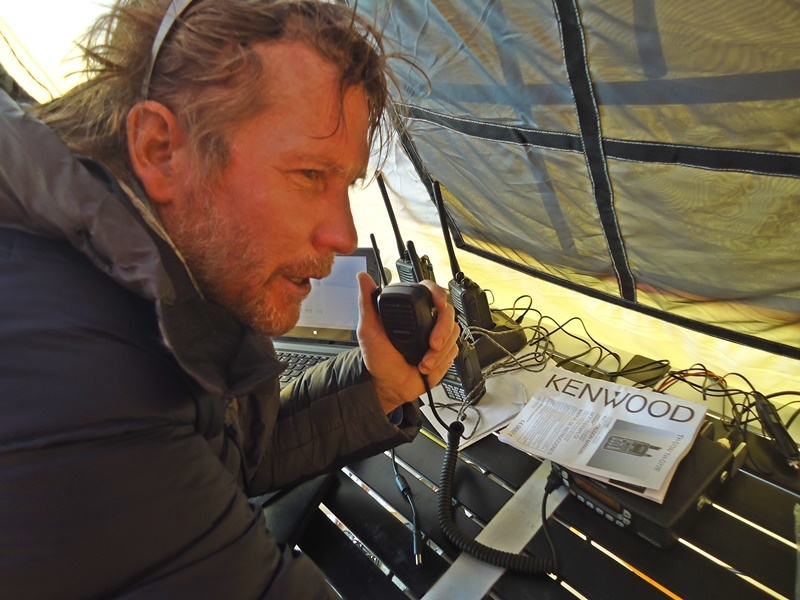 We are extremely grateful to Captain Reto of Fishtail Air and also to Kenwood Nexedge who provided the exceptional two way radio digital communication to coordinate the rescue.